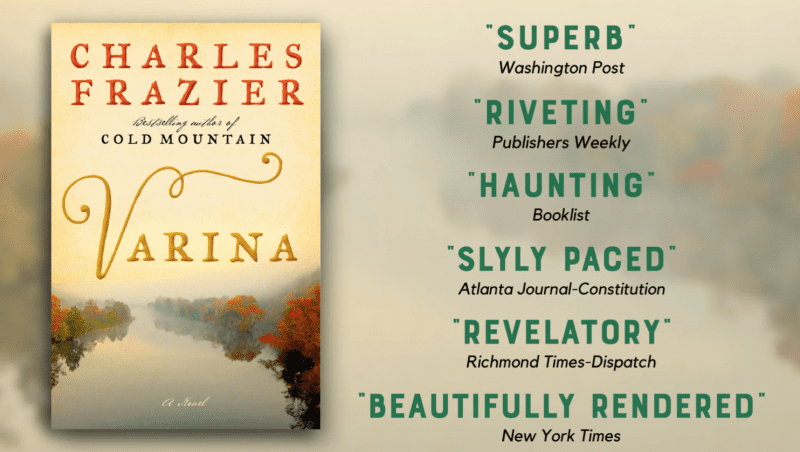 DAVIDSON, N.C. – The 2019 ReadDavidson selection is Varina by Charles Frazier. ReadDavidson, an annual town-wide reading initiative that started in 2007, is a partnership between the Town of Davidson, the Davidson Public Library, Main Street Books, and several local avid readers. The ReadDavidson committee encourages people to read a selected book and attend fun and educational book-related events that make the book come to life. This year’s events are scheduled for April in conjunction with the town’s annual “April is for Arts” initiative. All members of the community are invited to read Varina and attend these free-of-charge events. For more information on ReadDavidson, please visit www.townofdavidson.org/ReadDavidson, sign up for the ReadDavidson eCrier at www.townofdavidson.org/eCrier, and follow “ReadDavidson” on Facebook.